Georgia must stop the run early, if they’re unable to do that, it will be a very long day. 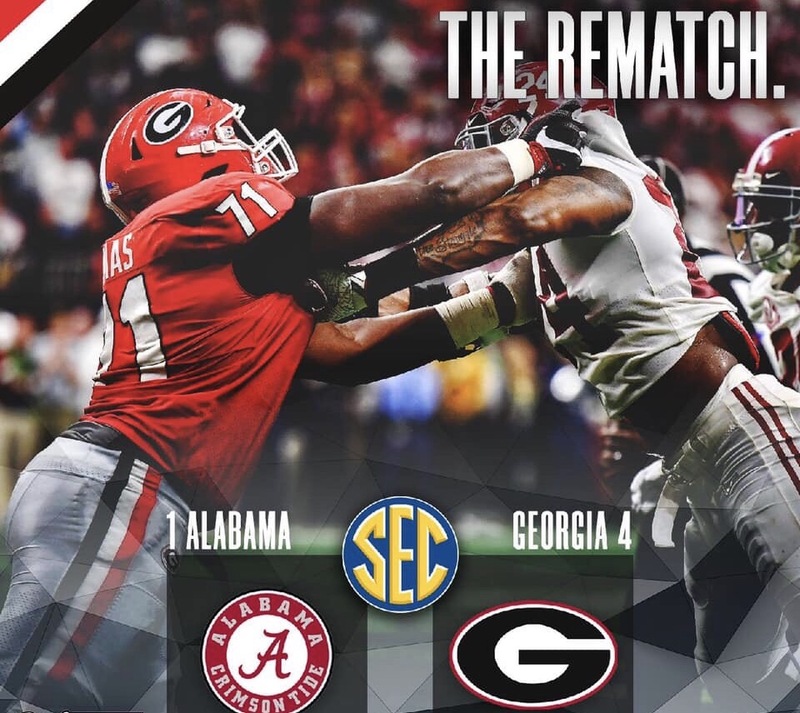 The only way Georgia stays in this game is if they make Alabama a one-dimensional team. If they are able to stop the run effectively, Alabama will have to abandon it and look to their QB to make plays with his legs and arm. Everyone knows Tua is a freak and can’t be stopped. Many teams this year went into their game making it a priority to “stop” Tua. The best chance for Georgia is to contain him. With that being said, the Dawgs need to hope for their CB’s and safetys to have a great game and not allow WR’s to get behind them. If they are able to keep the long ball from killing them, Georgia makes Alabama rely on screen plays and the scrambling of Tua to move the ball. Get the ball to the players who have made an impact and got you to where you are today! That includes, Jeremiah Holloman, Mecole Hardman, Deandre Swift, and Elijah Holyfield. With the stage set, everything is in front of UGA to do what they barely couldn’t last year. This is a backyard game for the Dawgs. They need to use that to their advantage. Feed off the crowd! When the going gets tough, the tough get going. There will be points in the game where the Dawgs are succeeding and there will be times they are stagnant, but one thing remains the same…. Dawg Nation is there and they are loud. Time to support the Dawgs as they win their 2nd consecutive SEC Championship!